How Does Condo Density Impact the Value of Other Home Types? 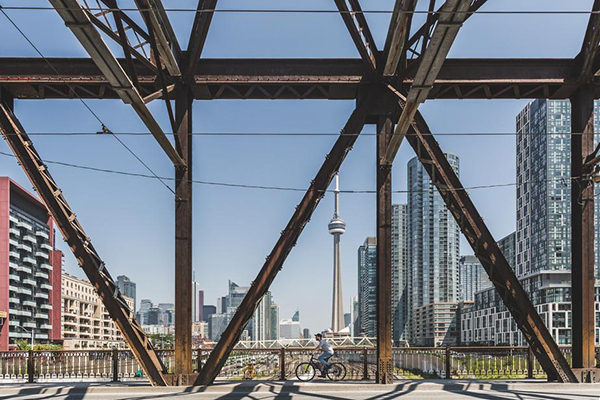 The City of Toronto is often referred to as a “city of neighbourhoods”, a moniker that came about following its 1998 amalgamation, which saw a cluster of boroughs transform into the existing Mega City. The result is a patchwork of distinct communities with their own specific zoning laws; while some are considered development hotspots for high-density towers, others are firmly mired in the so-called “yellow belt”, where lots are predominantly zoned only for single-family homes. Housing policymakers have long advocated opening some of these low-density regions up to development, especially as the 416 region faces a steep affordable housing supply crunch. However, a common concern among residents of these neighbourhoods is that an influx of high-rises or other forms of multi-family housing can have a negative impact on the values of low-rise housing types. While it’s hard to pin home price trends solely on development – other factors such as interest rates, the economy, and wage growth are also important considerations – an influx of supply can certainly have an impact on a neighbourhood’s value as well as the demand for houses for sale in Toronto. From a total city perspective, it would appear that, while condo prices have led all home types in terms of price growth, it hasn’t had a negative impact on other home types, as each have experienced double-digit gains in value over the last five years, despite slower overall sales. According to data from the Toronto Real Estate Board, the average condo unit now fetches 66% more than it did in 2015, at an average of $612,488. Detached house values, in comparison, have risen 25% to $1,294,936, with demi-detached homes and townhouses up 55% and 57% to $1,087,363 and $671,547, respectively. To see how this plays out across Toronto, we took a look at several of the city’s highest condo-density MLS districts* to determine whether a high concentration of towers has had a negative or positive pull on surrounding homes over the same time period. Geographical Boundaries: Bloor St. to the north, Yonge St. to the east, Lake Ontario to the south, Dufferin St. to the west. Encompassing Toronto’s massive City Place development, waterfront condos, King West and reaching as far north as the Annex, this is one of the most highly populated MLS districts in the 416, and has the largest concentration of condos for sale in Toronto. Building has been rampant since the 1990s, when the developer Concord first purchased the parcels of land between the Bathurst Bridge and Blue Jays Way. The area has boomed in terms of value over the last five years, with double-digit price increases across all home types between 2015 – 2019. While condos have experienced a 55 decrease in sales with 252 units sold this February, prices rose strongly over the five-year period, up 65% to an average of $701,829. Due to the high-density nature of the district, inventory and activity for other home types is relatively smaller. A total of three detached homes sold, a -40% drop from 2015, though prices have increased 26% in the luxury range of $2,322,000. There was slightly higher activity for semi-detached homes, which rose by 600% with 14 units sold, and prices up 23% to $1,408,953. Townhouse sales, however, have remained flat from the same month in 2015, though prices have soared 43% to $713,429. Geographical Boundaries: QEW to the north, Royal York Rd. to the east, Lake Ontario to the south, Etobicoke Creek to the west. Local developments include: Marina Del Ray, Beyond the Sea Condos, Empire Eau du Soleil, Oceanclub Waterfront. This slice of western waterfront that borders the southwest end of the 416 to Mississauga is known for its cluster of sky-high towers, each offering unparalleled views of Lake Ontario. 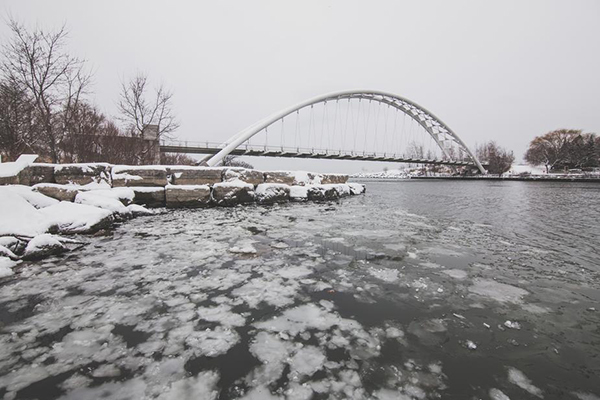 Development has been rampant over the last decade, as thousands of first-time home buyers seeking affordable condo options have been drawn to the neighbourhood’s unique lake access and natural amenities. That’s led to a hefty increase in unit sales over the last five years, with 64 units selling in February, a 36% increase. Prices also rose 64% to an average of %598,253 per unit. Sales of detached homes have fallen -45% over time with 16 sold, though the segment has also enjoyed a 64% price surge, to $1,098,375. As has been the historical trend for the area, very semi-detached homes are available for sale, with just two changing hands – a 33% decline, with prices up 57% to $964,500. There has also been a modest increase in townhouse sales with 12 changing hands – a 500% increase from the two that sold in 2015, with prices up 59% to $767,750. Geographical Boundaries: Forest Glen to the north, West Don River to the east, Mount Pleasant Cemetery to the south, Yonge Street to the west. This neighbourhood has experienced intense densification in recent years, in anticipation of the pending Crosstown LRT. 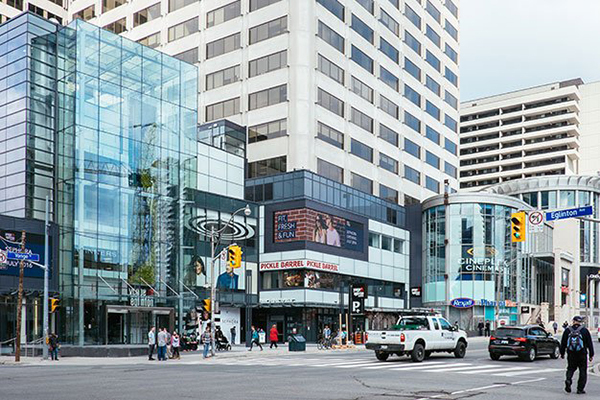 Towers have rapidly sprouted in this section of the Yonge Street corridor, as excellent transit access, walkability, and plenty of nearby shops and other commercial amenities have been a major draw for urban dwellers. However, there have been growing pains as the local population has surged, impacting everything from district school capacity, to the flow of traffic. Such an influx of multi-family units has made local single-detached homes all the more rare – just two sold in February, a 78% drop over the last five years, with prices skyrocketing 277% to an average of $5,446,000. Semi-detached homes have seen similar price increases, up 92% to an average of $1,554,250, while sales are up 14% with eight sold. The average condo unit in the neighbourhood remains relatively affordable though on the upper end of condo pricing, with values up 14% since 2015 to $625,532, though sales are fairly steady, up just 4% with 35 sold. Townhouses, meanwhile, are extremely scarce in this neighbourhood – just one sold this February compared to two during the same month five years ago. The average unit now goes for 12% more, at an average of $739,000. *MLS District prices and sales sourced from the Toronto Real Estate Board’s Market Watch Report for the month of February, from 2015 – 2019.